Nothing says December like gingerbread. I love those spicy scents as they fill up the kitchen. 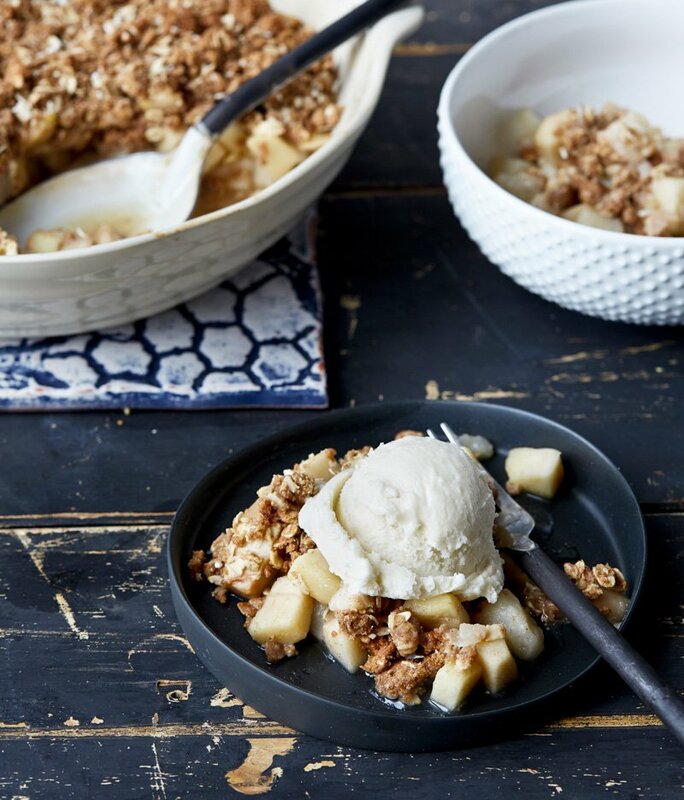 If you do too, chances are good that you will enjoy the flavors in my vegan holiday gingerbread pear crumble. 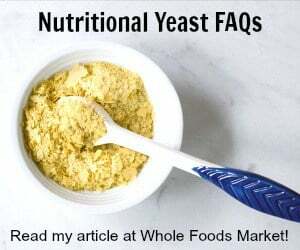 It’s from my book, OATrageous Oatmeals and it’s oil-free, soy-free and has a gluten-free option if you use your favorite gluten-free baking mix. If you need to make a holiday dessert but don’t want to spend all day baking, this is the recipe for you. The chopped pears are spiced up and covered with a gingerbread crumble. It’s so easy you can put all the kids to work on it while you relax a bit. 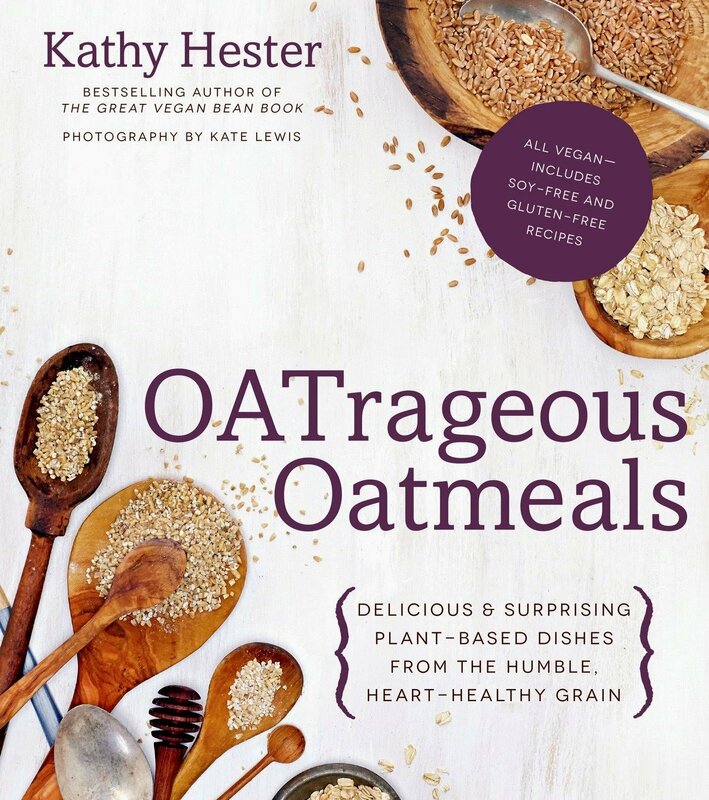 Don’t forget – OATrageous Oatmeals is a great holiday gift! Grab yours now before it goes out of print. This looks so good–love the autumnal fruits. I am intrigued by the molasses–have never tried it in a crumble, but with all those spices I bet it is fantastic! I love molasses with spices and think it’s as important in gingerbread as ginger! This is a must try for me! Looks and sounds lovely, and perfect flavors for the season! The holidays are so busy and it’s great to find an easy-to-make, healthier dessert that not only tastes good but looks pretty too. I’m bookmarking this recipe and am looking forward to making it. I just can’t resist a crumble. I think I might just make this for Thanksgiving. I was going to make a pie, but this sounds so much easier and more tasty! Looks yummy, Most of the crisps have some sort of fat added to the topping. Does the sweetener do the same thing as the fat in a typical fruit crisp recipe? It does. It is slightly drier than a regular crisp, but if you are not oil-free you can add a tablespoon or 2 of oil. I love that this looks so light yet decadent! The flavors of the pear mixed with molasses and all those spices is making my mouth water! Yum! I’ve never had a pear crisp before. I think I’ll give this recipe a try this weekend. Thanks for sharing ???? This looks splendid. I need to try this soon. Thanks for sharing. ???? A lovely simple yummy looking crumble! I love to serve it with hot home-made vegan pouring custard! Yummm! I can only imagine how amazing the house must smell when baking this yummy crumble. I do love pear desserts. Must try! Gingerbread pear?! YUM! I’ll take this for breakfast please! wow this is calling to me! 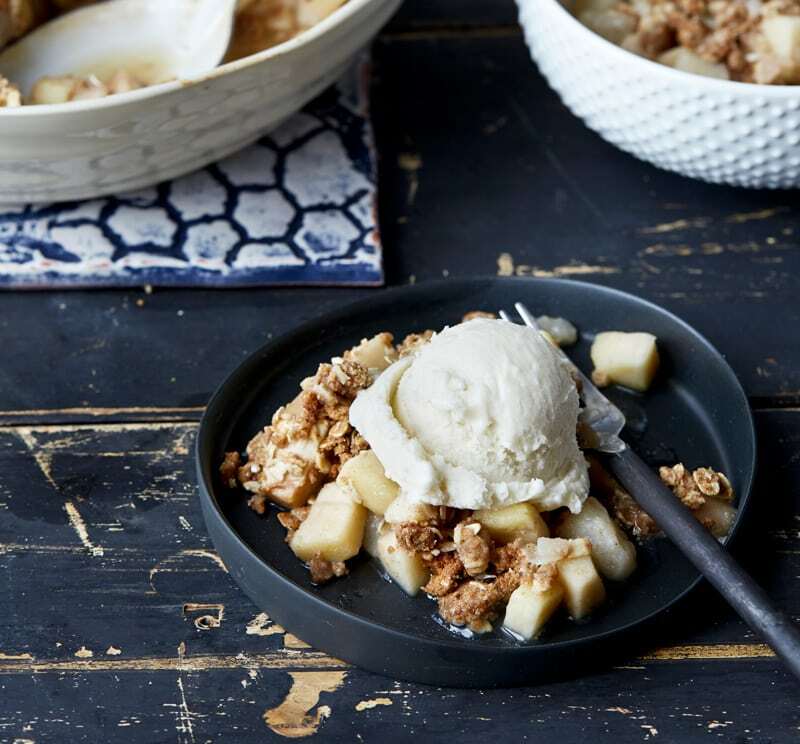 love fruit crumbles and pear is such a great seasonal fruit to try this with, will be making this at the weekend. I love all things ginger! This sounds like a winning combination! Such a perfect holiday dessert! It’s been a while since I cooked from OATrageous Oatmeals – I need to break it out and make a few dishes! Oh wow – I love how healthy this is! After a big holiday meal, I’m usually not up for a super rich dessert, so this looks perfect for me!